First of all, I can’t help praising how unique “Frosthvarv” sounded. I totally fell in love with it the first time I heard it and couldn’t bring myself to categorise it into a certain genre cause it sounded like a mix of doom and funeral and melodic black and I can’t tell you how amazing that is. Thanks for the masterpiece! So tell us about the new album. How did you happen to come up with the particular concept? JA: I’m so glad to hear that you enjoyed the album! 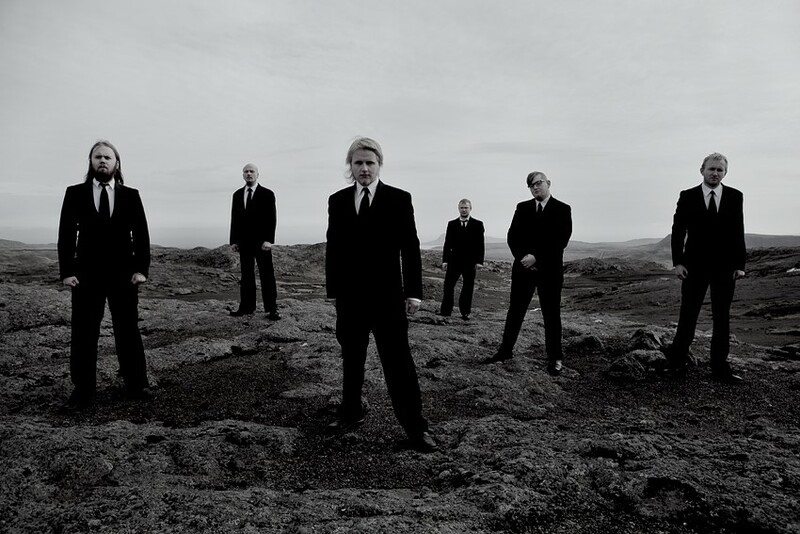 The concept for ‘Támsins likam’ was mostly born out of working on the earlier albums and wanting to continue exploring the themes from a different angle. “Vilst er síðsta fet” is very focused on the regrets and retrospection of a man facing death, while “Evst” chronicled his slow descent into madness while trying live with horrendous guilt and heartbreak. With ‘Támsins likam’, I wanted to jump straight into the actual events that drove this man to the end of his rope, so to speak. We dive into his family life and his failure to support his wife after losing a child. We are also presented with the wife’s perspective, as she tries to process grief and abandonment while struggling to keep the family together. So really, this is the third – and final – part of a trilogy that started with our first album, and the story is set before the events of “Evst”. We know the backstory of “Hon Syndrast”. Was there any metaphoric meaning behind it as well? JA: “Hon syndrast” is probably the most visceral and story-driven song on the whole album, and the lyrics are more descriptive rather than metaphorical. On the other hand, the song describes the pivotal point of the story, where the husband loses his wife and his chance of rebuilding his family. So in the context of the whole story where we see the man forsaking his wife in her hour of need, eventually driving her to her death, the song can be seen as a hard metaphor for losing something, which you didn’t appreciate and nurture. Tell us about the music making and videography and the mastering of the album. TK: Traditionally we have been a rehearsal-space oriented band, and a large part of the writing for our first two records were done in our rehearsal space in The Faroe Islands. However, a few years ago our drummer Remi moved to Denmark, so we have had to transition into writing music and sharing it with each other digitally during the writing process. For “Támsins likam” I did the majority of the songwriting, recorded demos of the songs and then sent it all out to the other guys to add their own thing to it. We are very proud of the video material we have created for “Hon syndrast” and “Frosthvarv”. We have not made any dedicated music videos before, mostly because our opinion is that music videos are extremely difficult to pull off in our genre of music. We have always felt that it’s better not to have video material than to have poor video material, and for some reason it has felt like a difficult project to get going for. However, with this album we wanted to change that, and we have been very lucky to be able to work with the directors of the two videos, Costin Chioreanu for “Hon syndrast” and Franklin Henriksen for “Frosthvarv”. Our music is strongly connected to the themes and lyrics in the music, but most people don’t understand Faroese, so we feel that creating videos for the music can help convey the storyline which is such a big part of the music. I personally feel that we have released two great music videos, and they can hopefully give people a bigger glimpse into the Hamferð universe. 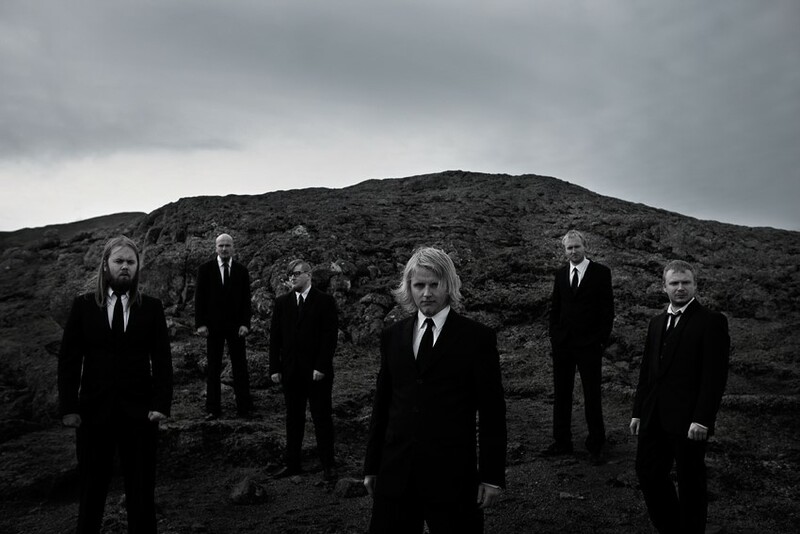 As with our first two albums I handled the production of “Támsins likam” myself. We started recording in Studio Bloch in June 2016 and had the album done by the start of October. The production was a huge project. A lot of metal albums nowadays are created on a tight budget, meaning that certain production techniques are used to get reliably good results in as short time as possible. We didn’t want to go that way, we set out to create an as authentic Hamferð album as possible. So there is no sample replacement on the drums, we have used real amplifiers, the strings are performed, all the choirs are sung etc… And when the recording process started nearing the end I decided that I did not want to mix the album myself. I mixed our first two records, but this time it felt like it needed some fresh perspective. So I spoke to Daniel Bergstrand, who is both a good friend and one of my production heroes, and it ended up with him mixing the album. It took the final sound of the album to a slightly different direction than I would have done, but that’s the reason we asked Daniel to do it. He has a phenomenal track record of very musical sounding productions and we feel his mix lifted the album to a different level musically. The mastering was also done at Daniel’s studio by George Nerantzis. I’d like to know who came up with the name “Hamferð” and why. I’ve done a lot of research about the meaning so won’t ask you that. JA: The name came to me quite unexpectedly, if I remember correctly. 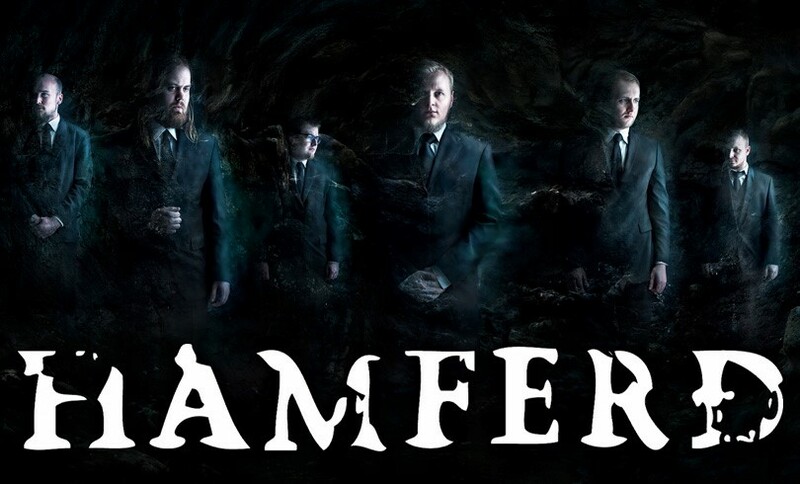 The concept of ‘hamferð’ is something I have always been intrigued by, and when the word popped up in my head at some point during the writing of our first song, I thought it was a perfect fit, and the others agreed. What genres/styles do you appreciate most and get influences from? How would you like to describe yourselves as, when it comes to genres? JA: The members all have different musical tastes, so it’s difficult to determine which particular genres are influential. There is still quite a strong doom metal backbone, although I wouldn’t say that we are decidedly married to that genre. Death metal also plays a role, since we all appreciate the genre in its different forms. But we also gravitate strongly towards progressive and avant-garde´music, post rock and –metal, classical and symphonic music, cinematic scores; you know, things that are big and complex in both music and concept. But we take great pains in fitting all of these influences into our own particular soundscape, which is primarily inspired by Faroese culture and the environment that has helped shape it. There’s no doubt that you guys have indeed followed your own “enigmatic and courageous trail” over the years. How do you manage to sound so different because personally I feel like you guys invented a whole new genre. JA: Well, I’m glad you feel that way. I’m sure many bands would die for such a compliment. I can’t speak for the others, but personally, I deliberately try to avoid doing something that sounds like something else. It’s very difficult to do in real life, but I always start from that principle when I’m writing music, melodies or lyrics. It occasionally happens that we have a nice part which is very obviously influenced by something else, and most of the time, they are scrapped. But we try not to pass on good music, so if we think a part is really, really awesome, then we can live with it being a bit derivative.As I mentioned, we collectively try to encompass a certain Faroese sound that is very much tied to the culture, the myths, the landscapes, the weather, the oceans, the wildlife; everything that has molded the Faroe Islanders throughout our almost 1200 years of existence. Tell us about the Faroese scene. Theodor: Since The Faroe Islands is a quite small country the metal scene changes quite a bit year-to-year depending on which artists are active at that particular moment in time. Our generation of metal bands had a very big scene a few years ago, there were at least 8-10 active metal bands which is huge for a country with only 50.000 inhabitants. However that has changed a bit for the worse lately. There aren’t that many active metal bands at the moment, but I would say that the ones that are active are probably better than they used to be. So I guess you can say that the quantity has diminished but the quality has increased. A few bands to check out would be Iron Lungs, Asyllex and Svartmálm. Iron Lungs and Asyllex have both released music which can be found on Spotify or Youtube, Svartmálm are releasing their debut album in February. So keep your eyes open! You have been on numerous tours with bands like Amorphis, Moonsorrow and Týr and having played plenty of European festivals such as Wacken, Summer Breeze, Tuska, Inferno, SPOT, Eurosonic and others. What has been your favourite so far? Are you looking forward to play outside of Europe? You guys have been real creative and crazy (in a good sense) performing at Havnar Kirkja and the live session during the solar eclipse. How did it all go? Tell us about it! Theodor: Well, both those experiences were pretty crazy and went very well. The concert in Havnar Kirkja took a lot of planning seeing as getting permission to have a metal concert in a church in The Faroes was not something we didn’t expect, although we obviously hoped it would be possible. The whole run-up to that concert was pretty stressed since a few things beyond our control changed in the days leading up to the concert. However, one of the fondest memories I have from that experience was the amount of help we got from countless people around us to be able to actually pull it off. And seeing the line outside the church before the show started was pretty surreal, not to mention having my brother play a pipe organ preludium as an intro and then actually performing in the cathedral of Tórshavn. The eclipse experience was also a pretty crazy idea. I came up with it a few weeks or months before the event when everybody here was starting to get crazy about the eclipse, but to start off with I thought it was too crazy for it to actually work. However, as the event got closer we started thinking about what would happen if we actually pulled it off, so we decided to take the chance. And we were extremely lucky. The eclipse wasn’t visible at all in large parts of The Faroe Islands, and both fifteen minutes before and after the eclipse the sky was completely grey. But we knew that it was going to take luck, and thankfully we didn’t screw up the performance seeing as our next chance would be in 2245! Something you’d like to share with your fans? JA: Firstly, we’re very excited for everyone to hear the album and hopefully tell us what they think and feel while listening to it! Secondly, I very much recommend having a look at the videos for “Frosthvarv” and “Hon syndrast”, which are intended to be a part of the whole album experience. And finally, we can’t wait to get out there and perform the new songs on stage, and we really hope that people will come to see us! Thanks a lot for being with us and all the best of luck for the new album! JA: Thank you very much!